You might remember the commercial involved, which depicted the awesome prizes people could get for collecting Pepsi Points. For 175 points, you got some shades; for 1450, a leather jacket; and for seven million Pepsi Points, a Harrier jet. The plaintiff said he decided to accept Pepsi's offer, and set about collecting enough points to get himself one of those cool jets. He quickly ran into a snag, though, as the opinion notes (quoting an affidavit he submitted): "Although plaintiff initially set out to collect 7,000,000 Pepsi Points by consuming Pepsi products, it soon became clear to him that he 'would not be able to buy (let alone drink) enough Pepsi to collect the necessary Pepsi Points fast enough.'" (This is because they accrued at one point per Pepsi.) Some might have drawn the inference that Pepsi was not actually offering a jet as a prize, given that it would be mathematically impossible to collect the points necessary. But plaintiff simply concluded he would have to buy extra points, which the rules did allow people to do for ten cents per point. Turned out he was just a little short on the actual point-collection: "On or about March 27, 1996, plaintiff submitted an Order Form, fifteen original Pepsi Points, and a check for $700,008.50." (The opinion says he raised this money "through acquaintances," but also suggests that these "acquaintances" might have coincidentally been his attorneys.) Pepsi declined to send the jet, and plaintiff sued. After three years of litigation, a federal judge tossed the case, finding that the ad did not constitute a potentially binding offer. The main reason for this was the court's finding that "no objective person could reasonably have concluded that the commercial actually offered consumers a Harrier jet." A court doesn't try to figure out what the plaintiff actually believed, although his actual non-belief might be pretty relevant evidence. But since Leonard apparently insisted (under oath!) that he did not understand Pepsi had been joking, this "require[d] the Court to explain why the commercial is funny." That led to a entertaining couple of pages. For one thing, the court noted that the kid in the commercial "is a highly improbable pilot, one who could barely be trusted with the keys to his parents' car, much less the prize aircraft of the United States Marine Corps." Also, collecting seven million points would have required the drinking of seven million Pepsis (190 per day for 100 years) or, according to plaintiff, buying $700,000 worth of points. (I read somewhere that the extra $8.50 he sent was for shipping and handling.) 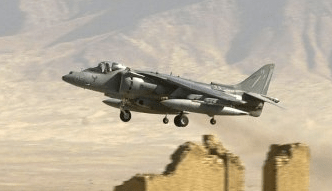 An objective, reasonable person would know that fighter jets cost a lot more than that, and plaintiff admitted that he in fact knew that Harriers cost about $23 million. The deal was too good to be true and so not likely a real offer. The court dismissed the case and the Second Circuit later affirmed. Getting back to Trump, this reasoning also torpedoes his case, which is pretty much frivolous in the legal sense of that word. Maher is a comedian who was talking to another comedian at the time, in front of a live studio audience that could be heard laughing, a fact from which one might infer that they understood the speaker was joking even if Donald Trump (as he claims) did not. An objective, reasonable person would not have believed that to be an offer. Donald Trump probably didn't, either. 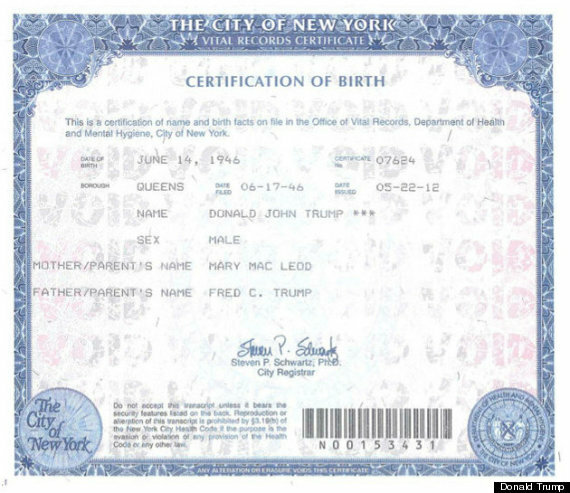 It's also hard to avoid speculating that all this is designed to take attention away from the real question—how do we know Fred Trump was not an orangutan? The Trump camp has been completely silent on this issue. What are they trying to hide?